Look up in the sky its a bird, its a plane, its a... ufo​? We were very fortunate to see Seattle on a sunny blue skies kind of day. We drove to the seattle space needle and found parking a block away, in this area you will find all the touristy stuff that you have to do such as the space needle, childrens museum, chihuly garden and glass, and the science center. You can easily do everything in one day if you wake up early enough. if you buy your tickets at the space needle you can get a bundle deal to visit everything in this area. There is a monorail that runs from the space needle to the pike place market area it is only $1.50 to use the monorail $3 roundtrip. ​Take advantage of the monorail, parking is expensive in Seattle. 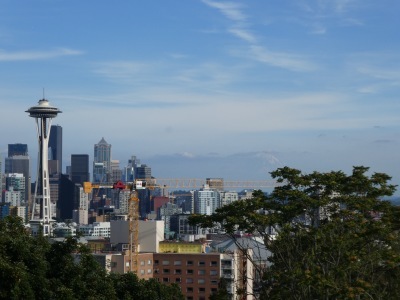 Best place to see the space needle and views of seattle is Kerry Park, if it is a sunny day look beyond the needle and you will see mount rainier. its not a cloud its a mountain. pike place market, otherwise known as heaven. I want to buy every single giant flower, every huge tomato and everything in between. 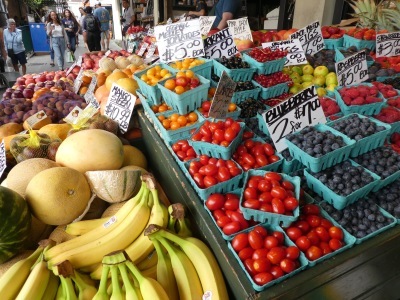 Pike place is a giant market that has local vendors selling fresh fruit, vegetables, flowers, artwork and everything you can think of. Sunflowers bigger than I have ever seen in my life. This is a great place to get the feel of real people who live in seattle it is not a touristy spot. 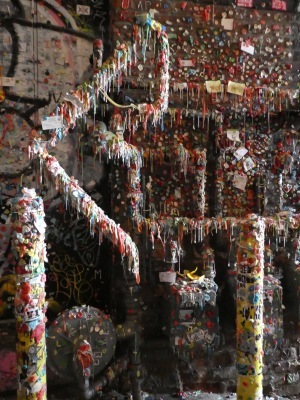 The famous or infamous gumwall is located inside of pike place ask any employee and they will help you get there. the original starbucks is also located here, get in line early if you want to purchase a drink because the line is usually out the door. All of seattles food is to die espcially their salmon. Please try it, its nice and fresh.